As Russian-born Oleksandr “Sasha” Volohdin placed one hand on a stack of 15 chairs and slowly raised himself in a ramrod-straight handstand nearly touching the peak of the tent, all I could think was “bloody hell!” Even Vladimir Putin wouldn’t attempt to do that. It’s not something you’d do in your own kitchen but it’s happening every night in the antique Spiegeltent in King George Square, Brisbane. The Spiegeltent creates an Art Nouveau-style cabaret atmosphere for this “cocktail of circus, burlesque and vaudeville” that the promoters say is “inspired by the absinthe-drenched cabarets of late 19th century Europe”. During La Belle Epoch, there was a mesmerising ritual related to the “Green Fairy” as ice water was slowly dripped over a sugar cube through an ornate slotted spoon and into the green liquid, swirling around to produce a milky euphoria. 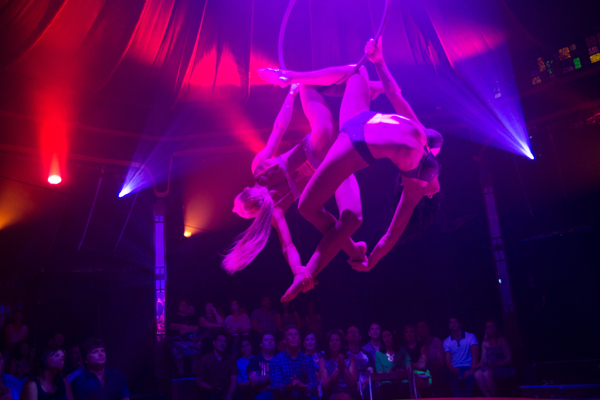 Just like the show in the Spiegeltent, it creates a sense of fascination, danger and sensual excitement. In the same way that the drink itself was banned, the French police of that era would probably have banned the show if they’d seen it. 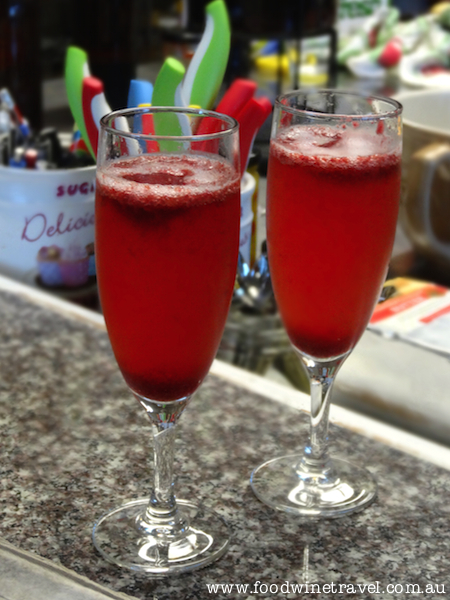 It’s raw, it’s rude and it’s raunchy – your dear old grandmother would love it. Gazillionaire and his assistant Abby Bobbins are the lascivious hosts and lewd foils for a troupe of acrobatic performers whose muscled and superbly sculptured bodies accomplish feats that are at first surprising and then simply incredible. 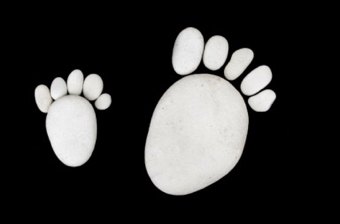 Just when you think they can’t do anything to top the last feat, they seemingly do the impossible. All the performers keep your pulse and heart rate racing right through the 90-minute show. Absinthe – it’s extremely intoxicating. After Brisbane, Absinthe will perform in Perth from July 11, 2015 and in Sydney from September 15, 2015. I was introduced to this West Australian range shortly after it was launched in 2007 and was immediately smitten, for not only are the labels outrageously kitsch, the wines are actually good. 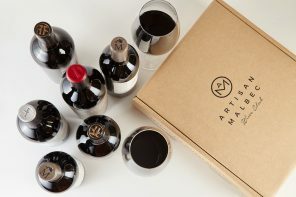 Winemakers Mike Kerrigan and Nick Stacy source the fruit from regions where the varieties excel, so the Snake Charmer Shiraz comes from McLaren Vale, for example, and the Raconteur Cabernet Sauvignon from Margaret River. 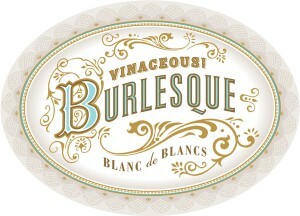 Vinaceous’s tantalising Burlesque Blanc de Blancs was flowing on opening night in Brisbane. We also gave thumbs up to the Cabernet, Shakré Chardonnay (Margaret River) and Salome Tempranillo Rosé, made in a dry savoury style. There’s also a Divine Light Sauvignon Blanc, Red Right Hand Shiraz Grenache Tempranillo and Voodoo Moon Malbec, all from quality Margaret River fruit. 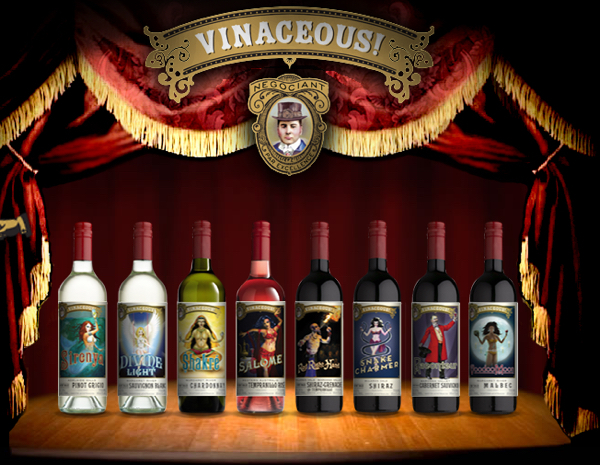 The Vinaceous wines entertain and command attention, and are worth adding to your playlist. A number of Brisbane venues have got into the spirit of Absinthe with cocktails and dishes that are enough to make you go green with envy. ♦ Public Restaurant and Bar has created a Charcoaled Roast Pork & Absinthe Bouquet dish made with Glendale Farm pork belly, atomised Absinthe, fennel and leek pureé and Absinthe cream, available only during the show’s Brisbane run. Lovers of libations are in luck too, with The Brain Duster, starring absinthe, Wild Turkey Rye, Martini Rosso and Angostura Bitters. ♦ Emporium Hotel Cocktail Bar has created two cocktails, the Absinthe Frappe made with Absinthe and honey from rooftop hives, served in a pewter mug, and Gazillionaire’s Swizzle, topped with an ice basket filled with Absinthe, which is then set on fire. ♦ Pony Dining is offering a smoking cocktail (literally), The Black Tonic, made with Absinthe, dark chocolate, cinnamon syrup and a burnt rosemary garnish. ♦ Bar Pacino has created the Pacino Green Handshake, starring 90 proof Herbsaint and a melon liqueur with fresh apple juice and a pinch of salt. What a show! 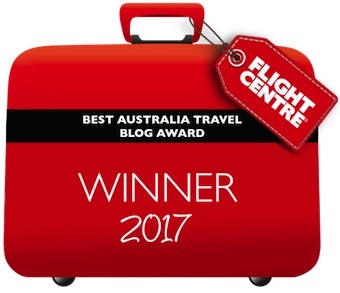 A great write up, Maurie. Just trying to remember now if I have ever tasted absinthe.